We are Gloria, Renata, and Rebecca, Research Services at the HDS Library. Email us a question. 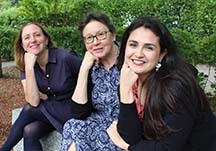 Get to know the Research Services team at Andover-Harvard— Gloria, Rebecca, and Renata. We can help you locate information, develop a research strategy, find sources on any topic, and work on any research-related question, problem, or skill. No problem is too small. We are here for you! Course reserve readings are listed on the course website as "Library Reserves." Online readings are linked. If there is no link, bring the call number to the circulation desk on the first floor to borrow a copy. 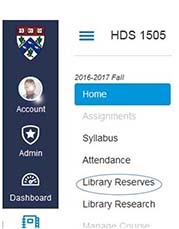 HOLLIS is Harvard’s library catalog. It brings together information about library resources owned or licensed by Harvard. Sign in with your Harvard Key to see licensed digital content, delivery options, and to access your account. Our most important religion databases don't share information with HOLLIS. Use Other Sources to complement your HOLLIS results. Other Sources searches prominent religion databases covering thousands of scholarly publications -- Academic Search Premier, ATLA Religion Database, Bibliography of Asian Studies, Christian Periodical Index, Index to Jewish Periodicals, Index Islamicus, New Testament Abstracts, Old Testament Abstracts, and Philosopher's Index. Additional specialized databases can be accessed from the library’s website. We curate a list of key databases that align with the HDS curriculum. These selections are a subset of all Harvard Library databases. When you find an article that costs money, use Lean Library to access the Harvard Library subscription. You can filter by features like noise level, furniture type, or locker availability. Borrow Direct is often the fastest way to borrow something not available at Harvard. Tools like Zotero organize book and article references in one or more virtual folders. From these references, you’re able to produce instant notes and bibliographies in a citation style of your choice. Most library databases, including HOLLIS, will format results as citations. For information about Harvard-supported citation tools and trainings, see Research Management and Citation Tools at Harvard. We have standing desks, flash drives, iPhone, iPad and Android chargers, Apple laptop adapters, and earphones. You may borrow any device for up to 3 hours. Inquire at the circulation desk.